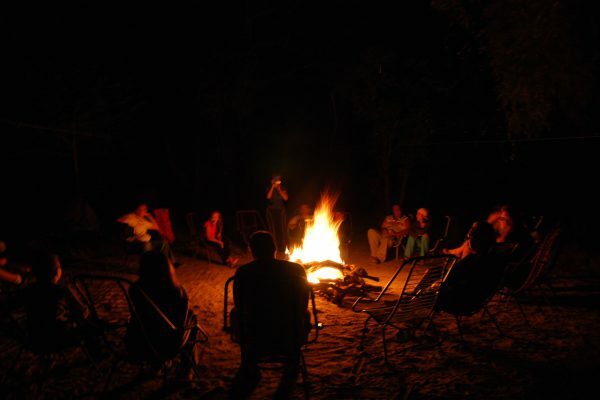 It’s understandable that a trip to Jalapão often ends with a description that varies between 2 clichés: “one needs to see it with their own eyes” and “one must feel it with body and soul.” A destination of fascinating complexity, Jalapão is one of those destinations that renew the joy of travelling and the pleasure of discovering a new destination. A natural paradox, the place mixes the geography of a desert with running fresh water, which often doesn’t seem to make sense. But it does, especially when travelers are in front of the wind-shaped dunes, the same wind that shaped the rock walls and shakes the palm leaves of this true oasis. 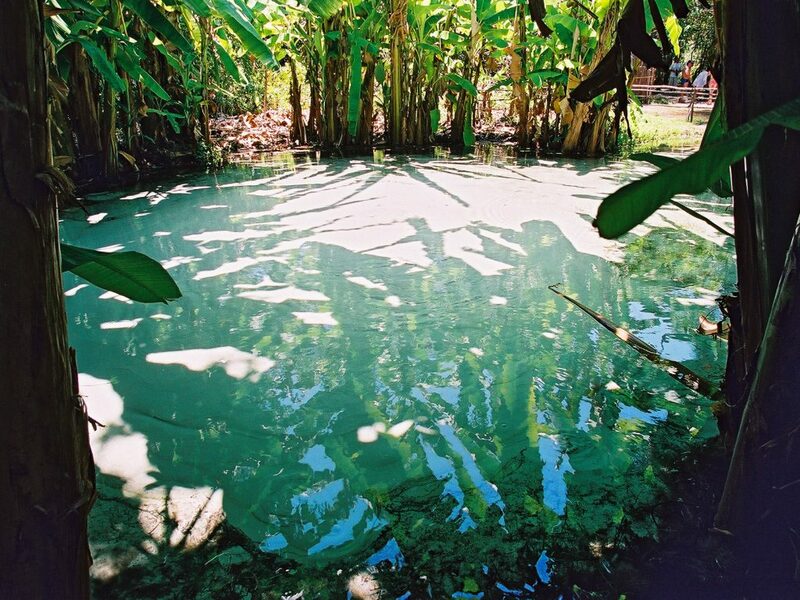 Fresh water wells that boil inside and where visitors simply float on, contrast with a vast sand landscape that makes visitors disbelief this same location was the bottom of the ocean one day – but believe, it has. 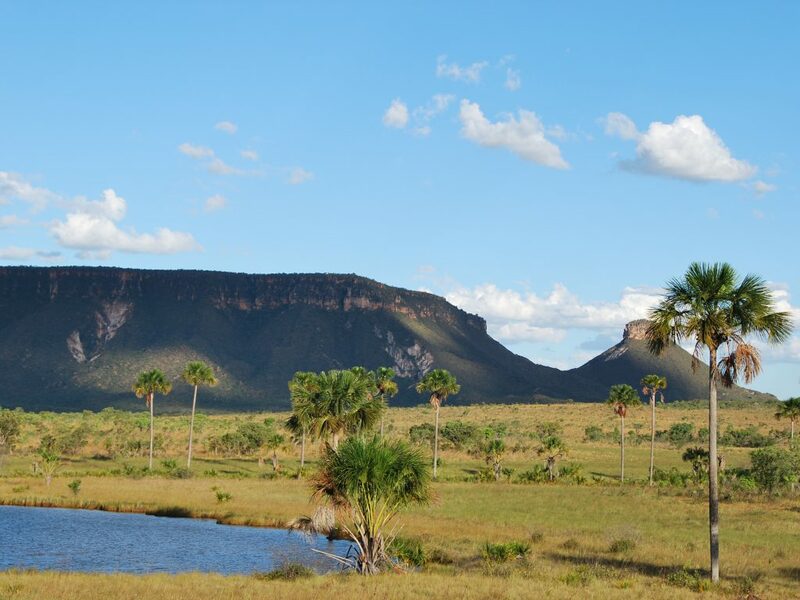 Amongst animals typical to the Brazilian fauna, visitors to Jalapão visitors will be immersed in a unique environment that blends the spirit of the African wilderness with something of incredible Brazilian authenticity. 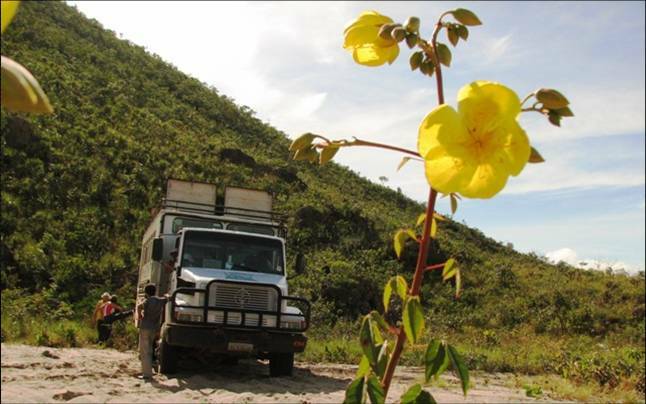 SUL Hotels Tip: With the camera always in hand, allow yourself to be blown away by the panoramic expanse of the surrounding scenery, but make sure to stay tuned to every detail such as the jalapa, the delicate flower that names the region. 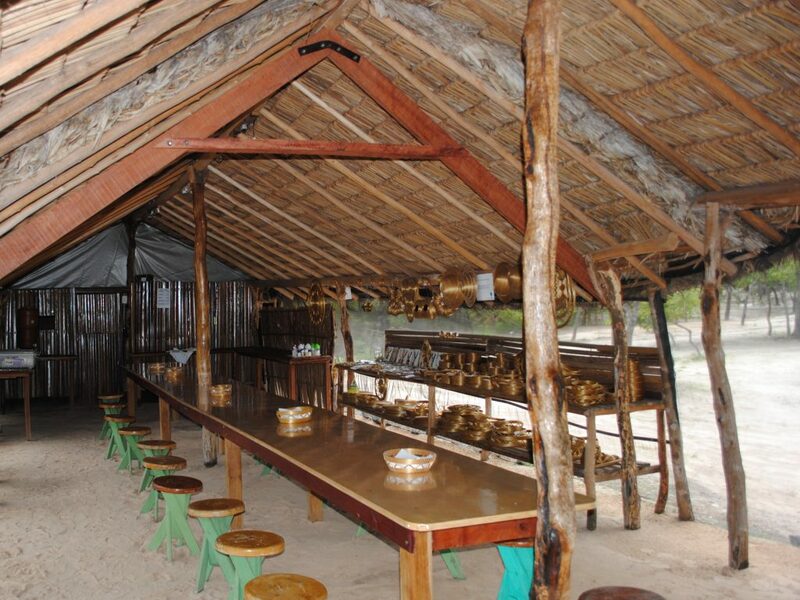 Located in a remote region (the nearest health center is 120 km away), the best way to enjoy Jalapão is by lodging in a Safari camp. 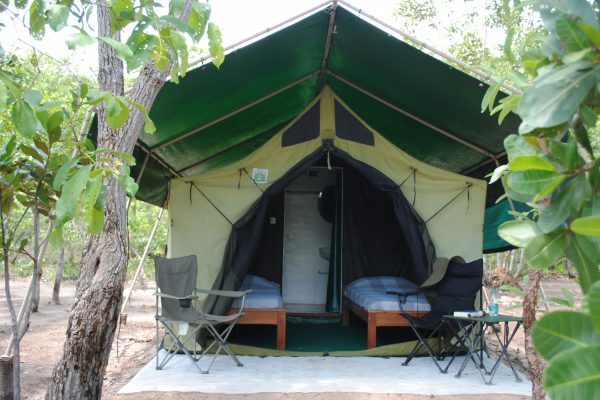 And this is the proposal of Korubo Safari Camp, offering 15 large African style tents equipped with twin beds and en-suite bathroom. 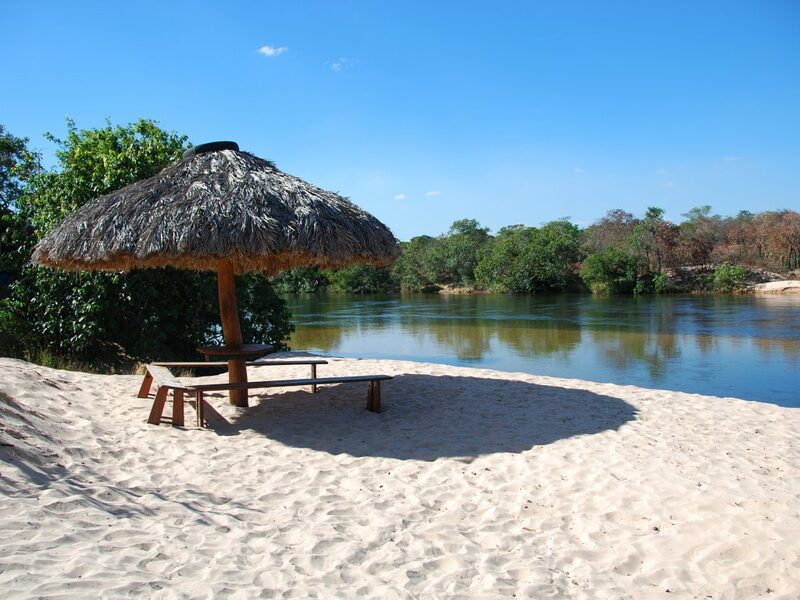 Under the shade of mangabeira and cashew trees and on the banks of crystalline Novo River, Korubo is by far the best option in the region, always in contact with nature and close to major attractions. Much like the most elegant and sophisticated camps in the African savannah, Korubo Safari Camp is intends – and succeeds – to provide guests the experience of living amongst wild nature, but with all comfort and safety of a World class lodge. 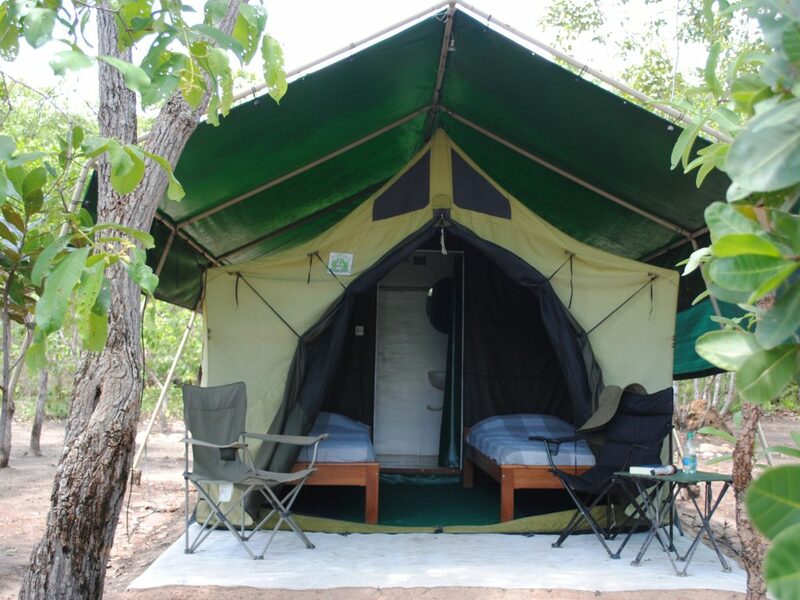 In addition to 15 tents with options for families of up to 4 people, the hotel structure offers separated bathrooms for men and women, with individual solar-heated showers. 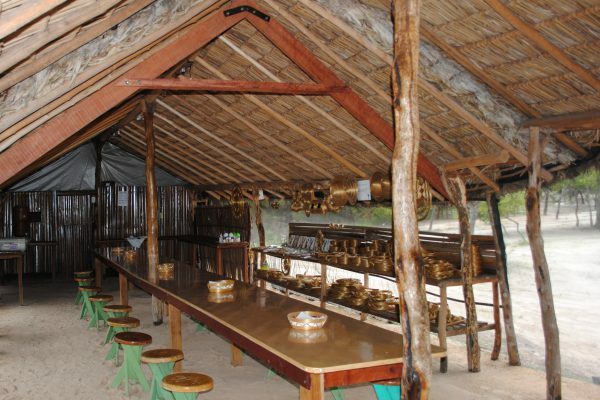 In the dining-tent, guests enjoy dinner prepared by a local chef with vegetarian options (make sure to inform Korubo prior to the stay). 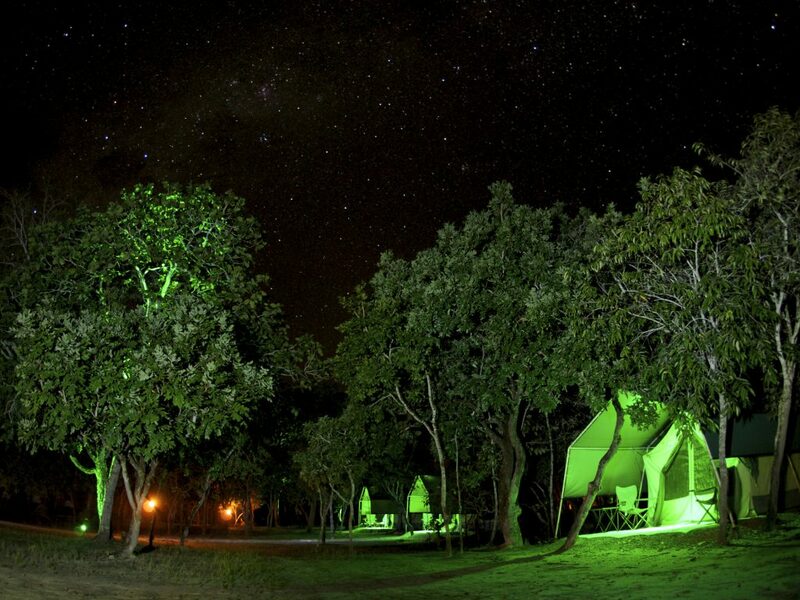 The lodge does not have electric power generator in order not to overshadow the unforgettable starlight, but all tents are equipped with small LED lamps, powered by solar energy. Your photos will also be guaranteed, as these solar panels provide the necessary power to recharge the batteries for cameras and mobile phones, even if they don’t have much reception. For emergencies only, Korubo team does have satellite phones onsite. Korubo’s team is also well trained in first aid assistance. We recommend yellow fever vaccination at least 10 days before the trip. 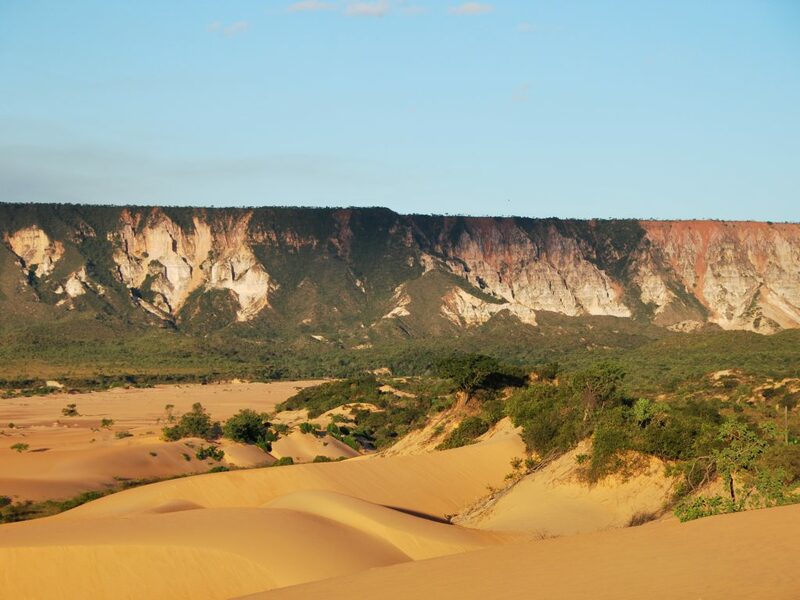 Complex of the geological point of view and equally difficult to describe touristy, the Jalapão State Park is one of those places that reserve carefully guarded charms to those who dare. 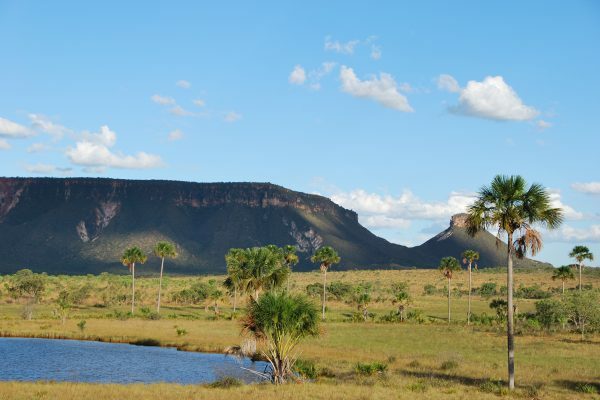 Tucked in the center-east of the state of Tocantins, 190 kilometers from the capital Palmas, the vast preservation area shelters a variety of landscapes that many travelers leave without fully understanding how everything was formed. 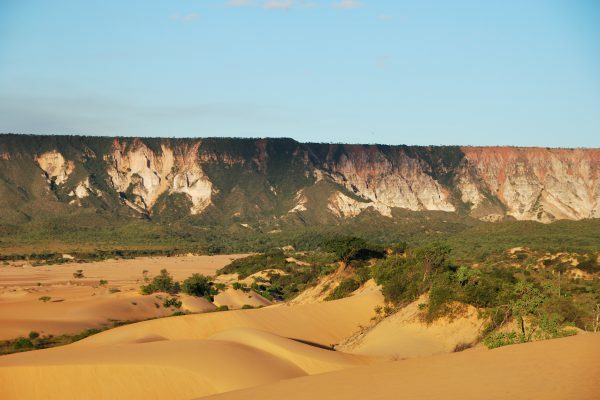 Actually, it is worth noting a landscape in which orange dunes, cliffs and cliffs not only live together, but also dialogue in a horizon of waterfalls, rivers and leafy trees. 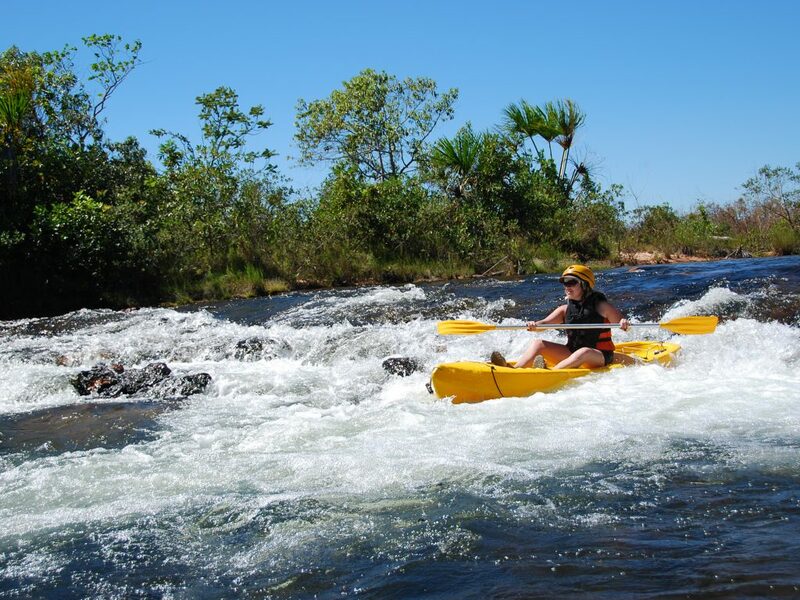 The vegetation of “cerrado” and “campos gerais” harbors paths, that are like oasis, with springs and much forest around. 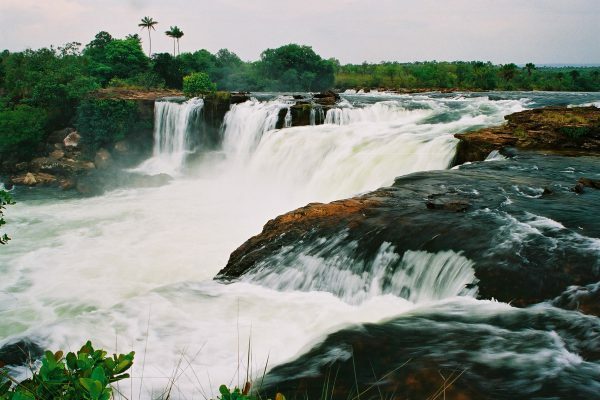 With more than 34 thousand square kilometers, more than the State of Sergipe, the area known as Jalapão has little infrastructure and little towns nearby, such as Ponte do Tocantins and Mateiros. Over the course of six days the itinerary travels through hundreds of miles. 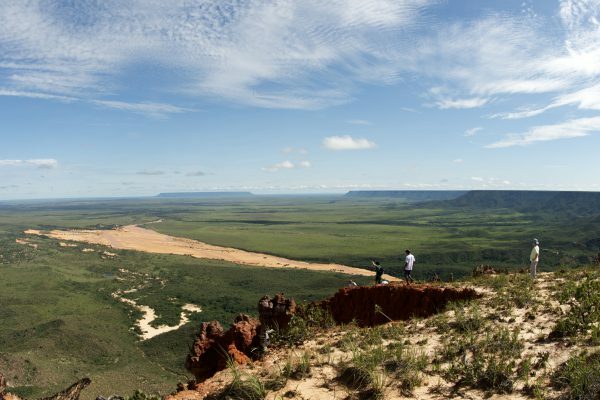 After arrival and overnight in Palmas, capital of Tocantins states, on the second day travelers embark on a 4×4 vehicle towards Jalapão. After lunch in the town of Ponte Alta, the main city in the region, you’ll head towards the mysterious Serra Geral, already moving away from civilization. Amid the arid cerrado landscape, a refreshing stop at the Canyon Suçuapara, where the water seems to spring from a crack in the rocks. 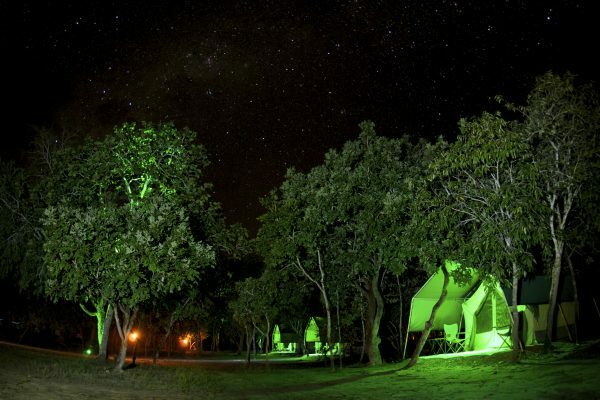 This will be the first of 3 nights spent at Korubo Safari Camp, under the starlight and far away from any village or small town. The next day starts with an early canoe down Nove River, after being carefully instructed by professional guides. 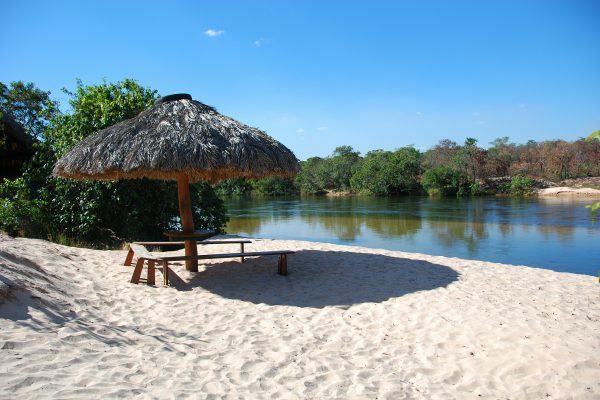 The stops along small river beaches with crystaline clear water makes this tour one of the favorites amongst travelers. In the afternoon, a visit to the dunes of quartz sand, the mineral that gives them a golden brown tone in the evening light. 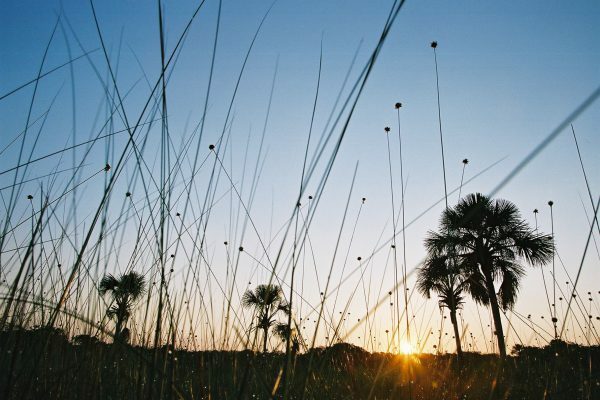 Surrounded by immense plateaus, these dunes are the setting for an unforgettable sunset. 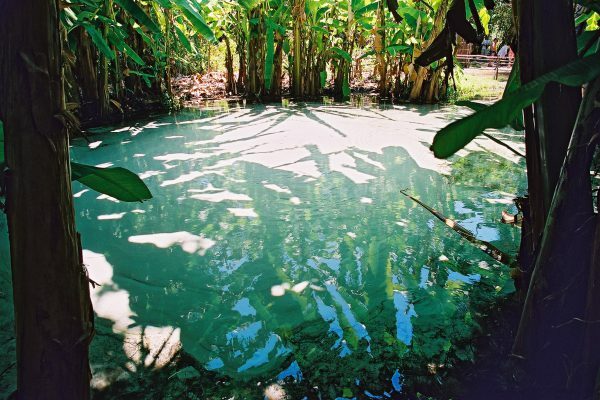 On the fourth day, you’ll depart towards Fervedouro do Soninho well, a crystal clear spring water reservoir surrounded by banana trees and with a background of nothing but white sand. 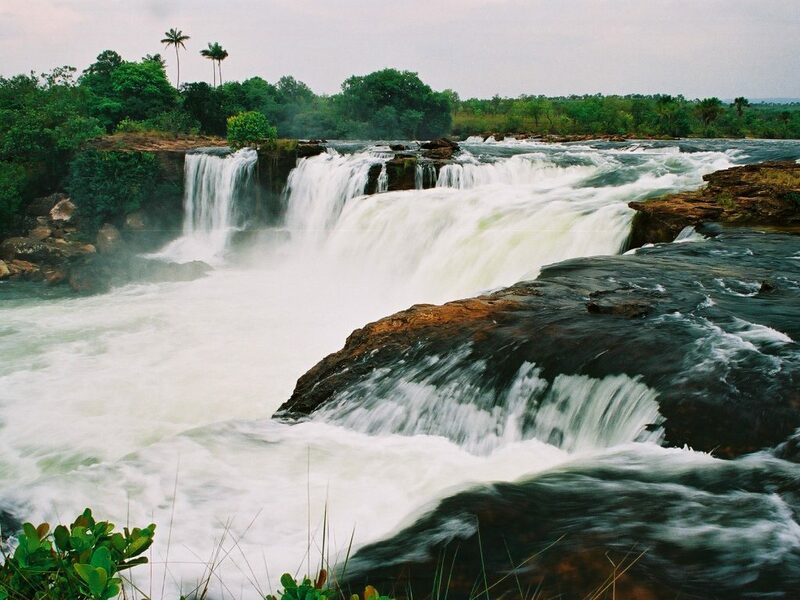 Have fun trying to sink into the warm natural pool, impossible task due to the intense pressure of the flowing water. 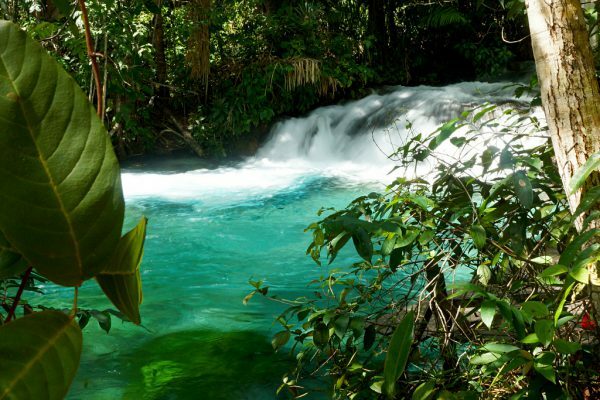 From there, set off toward Formiga waterfall and its delicate fall that forms a translucent natural pool of emerald green water. 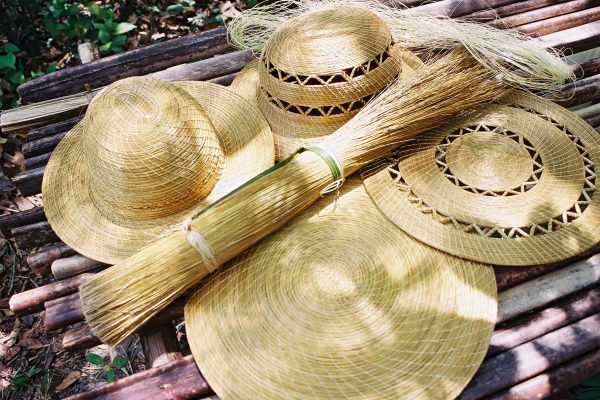 After lunch, next stop is the city of Mateiros, famous for its crafts made with the noble golden grass. Day five is entirely dedicated to the highest waterfall in Jalapão. Imposing, its 25 meters height are certainly impressive, but what is really striking is the extent of the waterfall in a horseshoe shape. Through a light trek, reach the small beach formed by this waterfall and there, rest under the shade of leafy trees, calm and crystalline waters. After lunch, departure back to Palmas, and spend the night. 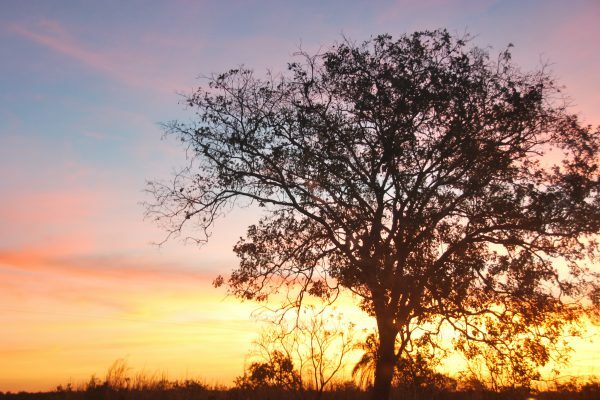 Finally, the last day allows a free morning to discover the capital of Tocantins state, before boarding back home and start missing Jalapão right away. 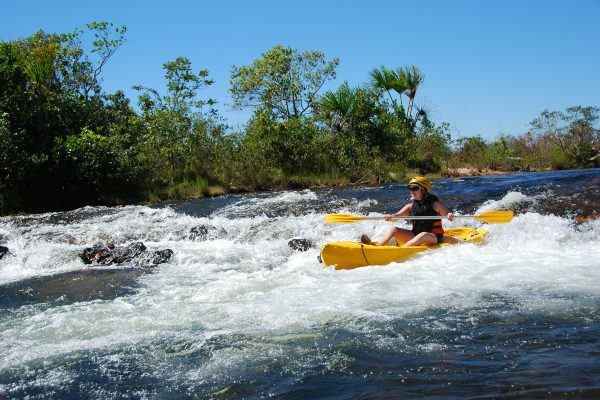 Palmas is a 2h20m flight away from São Paulo, operating daily with the main domestic airlines. 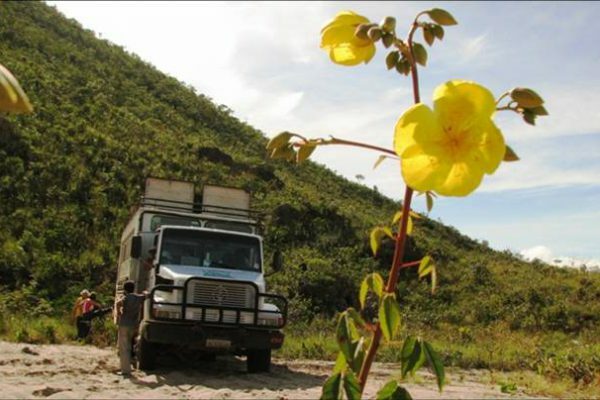 Getting to Jalapão by self-drive is not a very popular idea among visitors, as there is a considerable distance between attractions, and transportation needs to be done in 4×4 vehicles due to difficult access.